Sage Business Cloud People is a modern HR and People system that transforms the way mid-size organizations acquire, retain, manage and engage their workforce. Built on the number one cloud platform in the world, the Salesforce App Cloud, the Sage Business Cloud People system can typically be implemented in about 90 days and offers end-to-end customization. Bring out the best in your talent with Sage Business Cloud People, a better way to manage the employment journey from joining to leaving, providing core HR, payroll, talent acquisition, talent management and HR planning. It integrates with multiple accounting, payrolls and third-party applications, giving you a single source of truth for your HR and people data. Sage Business Cloud People has customers across most vertical markets and is typically recommended for businesses with 200 - 5,000 employees. Customers include; Aveva, Armstrong, Klarna, Mitsubishi UFG, Paddy Power Betfair, Quest Software, Skyscanner, SolarWinds, Trainline, and Trustpilot. Please contact Fairsail for pricing information. Sage Business Cloud People has users across the globe; the system can be fully customized to local HR legislation. Sage Business Cloud People is built on the Salesforce platform and can integrate with any payroll system. Sage Business Cloud People's employee self-service features mean that employees can easily request holiday and submit time sheets via any device, laptop, tablet or phone and managers can view summary totals for their employees. Create job posts and track applications as they come in with Fairsail's applicant tracking tool before easily on-boarding successful applicants as an employee. Reports can be created, customized and shared amongst relevant users with Fairsail's reports and dashboard console. Set up alerts in the form of email notifications reminding any member of staff of their tasks to complete, upcoming birthdays and performance reviews. Below are some frequently asked questions for Sage People. Q. What type of pricing plans does Sage People offer? Q. 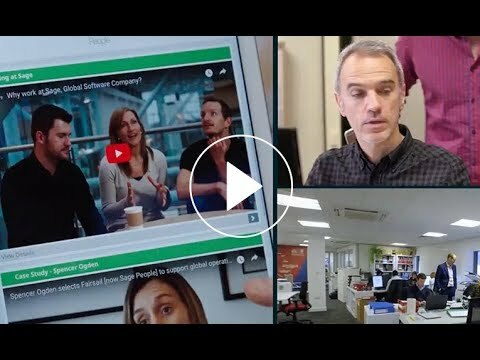 Who are the typical users of Sage People? Q. What languages does Sage People support? Q. Does Sage People support mobile devices? Q. Does Sage People offer an API? Yes, Sage People has an API available for use. Q. What other apps does Sage People integrate with? Q. What level of support does Sage People offer? Q. Which apps is Sage People compared to most often?